Vegetarian Times magazine is one of my favorite magazines. I especially love them for all the recipes! I am a total recipe head and sort-of foodie…so I am all about trying a new recipe. If I had the time and the wallet for it, I’d try a new one with exotic and delicious ingredients every day! This caught my eye because I had almost all the ingredients on hand and didn’t want to stop at the grocery store for the fourth day in a row. I also liked this recipe because it contains mint and I was totally clueless as to how mint was going to taste with edamame. However…the way it tastes is AWESOME! Now, I didn’t quite make these as fancy as the Veggie Times folks did; I made the pâté as instructed in the recipe, but I put it between 2 slices of low calorie wheat bread and thinly sliced green bell peppers, the arugula and roasted red peppers to top it off. I put some mayo (the kind with olive oil, which is delicious by the way) on it, but it really didn’t need it. Also, I cut the recipe in half and now have a serving left for lunch tomorrow! Light, tasty and unique flavor! Will make again. 1. 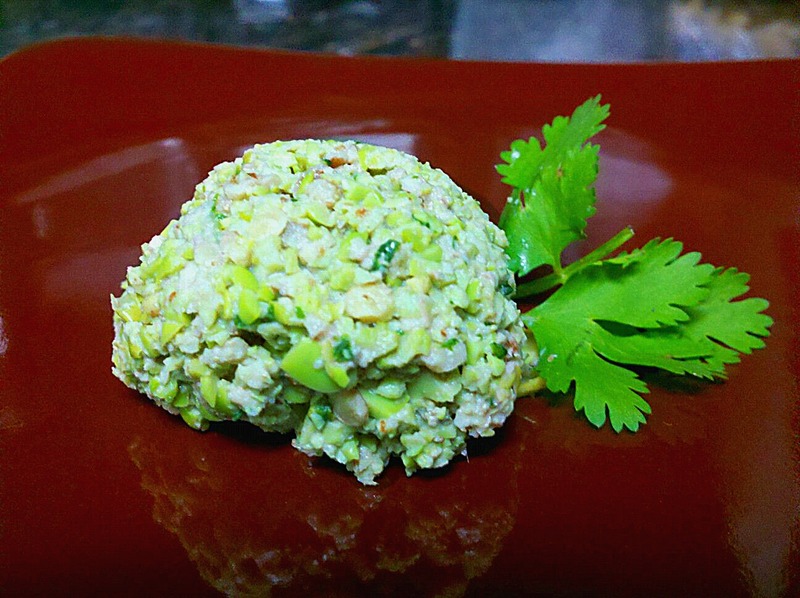 Purée edamame, walnuts, mint, green onion, and salt in food processor until finely chopped. With motor running, add lemon juice and 3 Tbs. water. Process until smooth. 2. Spread each of 4 bread slices with 1/3 cup pâté. Add 1/2 cup arugula, 1 roasted pepper, and cucumbers to each. Top with remaining bread slices.